Aleene's ORIGINAL TACKY GLUE 8oz Adhesive at Simon Says STAMP! 15599 /9.9 /158B This item is on reserve until If you would like to reserve this item now, you may purchase it now with the rest of your order. We will hold your order now and ship your entire order as soon as this item is back into stock. If you would like your order to ship now, please place this item on a separate order. Success, Aleene's ORIGINAL TACKY GLUE 8oz Adhesive has been shared! 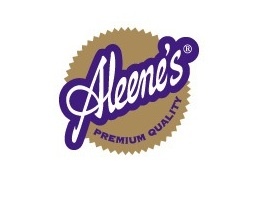 Aleene’s Original Tacky Glue is the most recognized and trusted crafting adhesive. The famous Original Tacky Glue is considered the ultimate in glues because it is incredibly versatile. Ideal for craft and household use. Dries clear and flexible. Water cleanup. Recommended for all craft surfaces. All purpose glue for crafts, hobbies, and household repairs. Versatile and durable. Superior on fabric, silk, burlap, paper, trimming, decorating and jewelry. Excellent for miniatures. Especially designed for scrapcraft or when gluing odd surfaces such as wood, metal, glass, ceramic, paper, china, styrofoam and most plastics. Excellent for use when permanently attaching rubber stamps to mounts. The Original Tacky Glue creator, Aleene Jackson has supplied the crafting industry with her high-quality adhesives since the 1950s. Aleene's crafting glues include a variety of adhesives made for every imaginable purpose. Aleene's adhesives are not only made to make your card stick together but last as well!